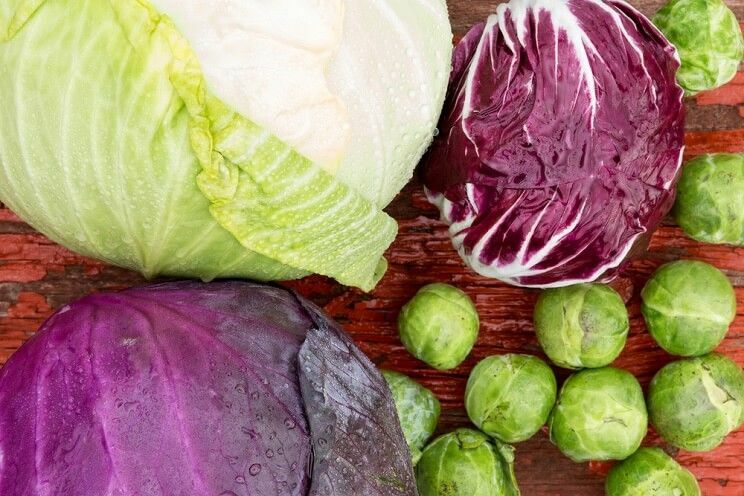 Cruciferous foods tend to be high in goitrogens, meaning you’ll want to eat them in moderation for thyroid health. If you’re having thyroid problems, you may want to bulk up foods with smaller amounts of goitrogen(1), listed below. Best way to minimize the goitrogenic effects of these foods that hinder the production of your thyroid hormones is to heat them (steam, boil, fry, bake, etc)! Should You Avoid Foods Low in Goitrogens? Just because certain foods are high in goitrogens doesn’t mean you should avoid them. With the exception of soy, the benefits of these (mostly cruciferous) foods far outweigh the downsides. When possible, try avoiding these foods in their raw form, as cooking helps reduce the goitrogenic substances by up to a third. Keep in mind that eating several of these foods in one day has a cumulative effect, so eat them in moderation, especially if you have thyroid issues. One way to offset the effects is to eat foods high in iodine along with them (2). Goitrogen ingestion isn’t the only cause of goiters; in fact, it’s only one of many. The most common cause is iodine deficiency, particularly in countries that don’t use iodized salt. Worldwide, more than two billion people are affected by iodine deficiency. The U.S. FDA recommends that adults get a minimum of 150 micrograms of iodine per day. Goitrogen ingestion and iodine deficiency are major causes of goiter. Other causes include congenital hypothyroidism, adverse drug reactions, Hashimoto’s thyroiditis, pituitary disease, Graves’ disease (aka Basedow syndrome), thyroiditis, thyroid cancer, benign thyroid neoplasms, and thyroid hormone insensitivity. The condition of enlarged thyroid is most common among women. Iodine is the most important element in thyroid health. Most goiters are caused when the thyroid enlarges in an effort to pull more iodine in out of the bloodstream. For most people with goiters, a diet high in iodine is the most common treatment. 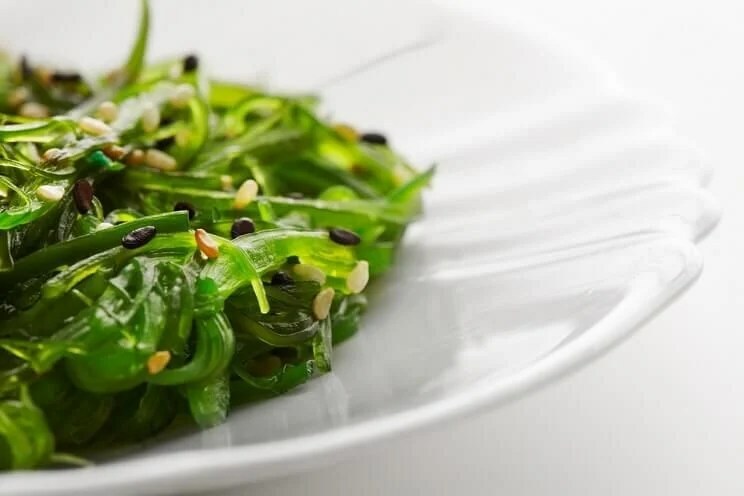 Foods that are high in iodine include kelp and other sea vegetables, fennel, Jerusalem artichokes, cow’s milk, eggs, and raisins. If you currently use sea salt or other fancy salt, check to see if it has been iodized. Sprinkling iodized salt on your foods is the easiest way to get a bit of iodine in each meal. Tyrosine is an amino acid that is found in a lot of goitrogenic foods like wheat, peanuts, and soybeans. It’s important to get tyrosine without those goitrogenic properties tagging along. Some good Paleo-friendly sources include pumpkin seeds, beef, fish, eggs, bananas, avocados, poultry, and almonds. These animal-based foods high in protein also tend to be good sources of Vitamin B12 and selenium, which are also important for thyroid health. Salmon, high in tyrosine, are also excellent sources of Omega-3 fatty acids, which are anti-inflammatory and can help with proper thyroid function. If you’ve got thyroid issues, some of the best foods you can eat (aside from those already mentioned) include non-cruciferous vegetables and fruit. Vegetables and fruit, in general, tend to contain high amounts of antioxidants, especially when eaten fresh. Antioxidants help protect your body against damage from free radicals. Most also have high amounts of electrolytes like potassium and sodium, which contribute to the movement of fluid in body tissues. Squash, tomato, bell peppers, green beans, peas, cucumber, asparagus, eggplant, carrots, and celery are all great examples of non-goitrogenic vegetables to enjoy. Most fruit is high in Vitamin C and other antioxidants. Some non-goitrogenic fruits you should eat include mangoes, citrus fruits, blueberries, dark-skinned grapes, pomegranates, guavas, cherries, apricots, apples, pineapples, and kiwis. People who follow a Paleo diet already avoid a few of the goitrogenic foods like soy and peanuts, but what about the other foods? 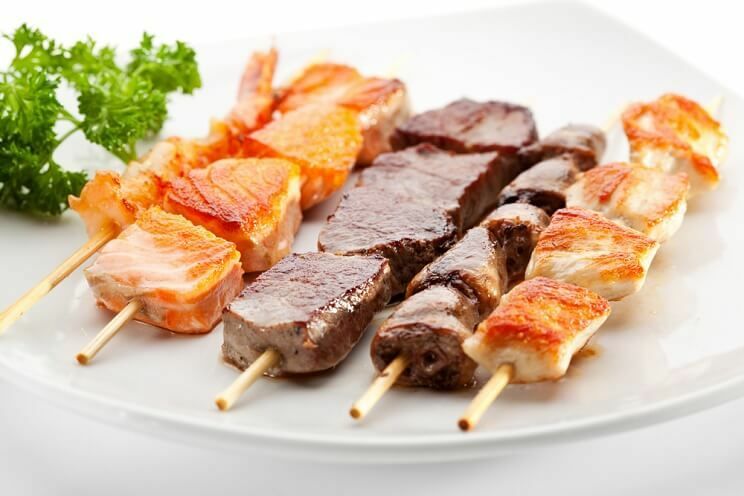 Chances are, if you eat Paleo-style, your diet is rich in selenium and tyrosine, iodine, antioxidants, and other beneficial nutrients. Eat lots of fish, meat, poultry, eggs, and grass-fed butter to help maintain your thyroid health.